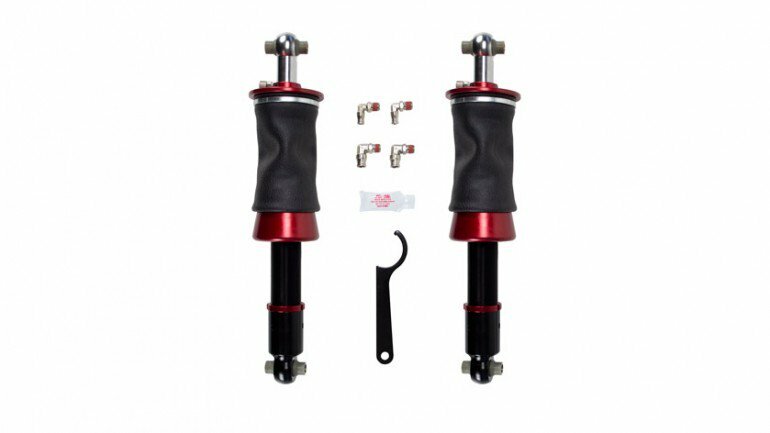 The rear kit features an incredible 5” drop and uses a double bellows spring with a separate shock. These drops are not limited by the shocks—in the case of chassis modifications, which are done to go even lower (over 5” drop possible in front)…and we know some of you will go that route. Modifications Req. Rear: Trim coil spring seat 1/4?